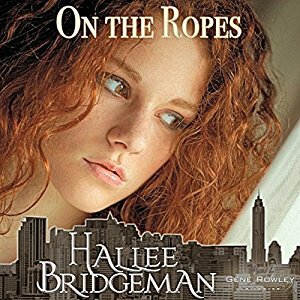 On The Ropes is Now an Audio Book! I am so very excited to announce that On The Ropes, my romantic suspense novella, is my first audio book release! The incredible talent of Gene Rowley of Gene Rowley Voiceover has brought my words to life in a way that just thrills me! Listen to this sample and see what I’m talking about! You can find the audio book at Amazon at this link or directly through Audible at this link. If you sign up for the Audible membership, your first book is free (hint! hint! — heh). Seriously, through, listen to this sample. If you have friends who prefer audio over reading, let them know about it! This entry was posted in Blog, On the Ropes and tagged audio book, audiobook, gene rowley, gene rowley voiceover, on the ropes. Bookmark the permalink.